Experience the sights of the Baar, of Lake Constance, the Black Forest and the Alps from a whole new perspective! VAT included. Shipping and handling included * 1. 30 Min. max. 3 Pers. 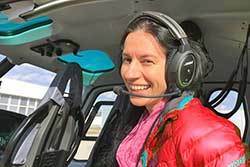 Experience with us Live - Germany from above in a helicopter flight. Book now here! The airfield Donaueschingen-Villingen is northeast the Baden-Württemberg town Donaueschingen. The airfield is used by helicopters of the Federal Police, modern jets and turboprops, as well as ultralight, engine and aircraft charter. Carrier of the airport are the cities of Donaueschingen and Villingen-Schwenningen, the districts Schwarzwald-Baar and Tuttlingen, the Chamber of Commerce and the Princely House Fürstenberg.